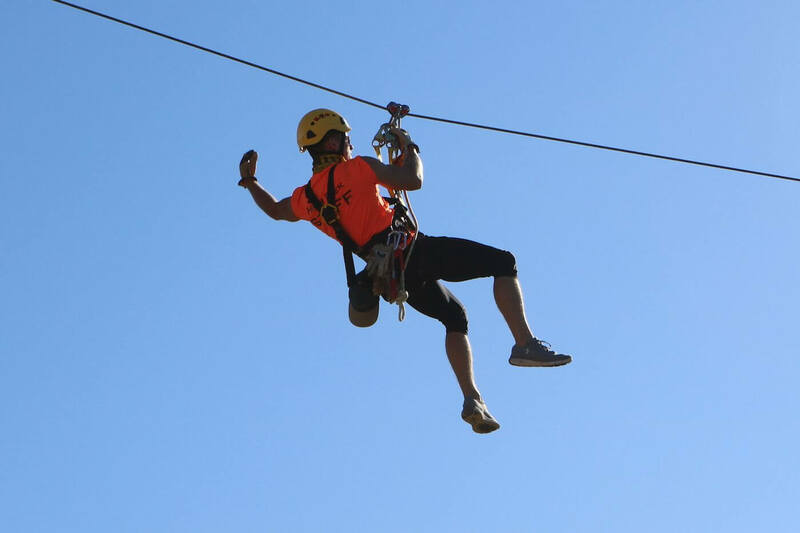 Book an all-inclusive Ropes Course and Zipline ticket now! We are just 20 minutes N of Seattle. Save your date and time by booking your admission online. 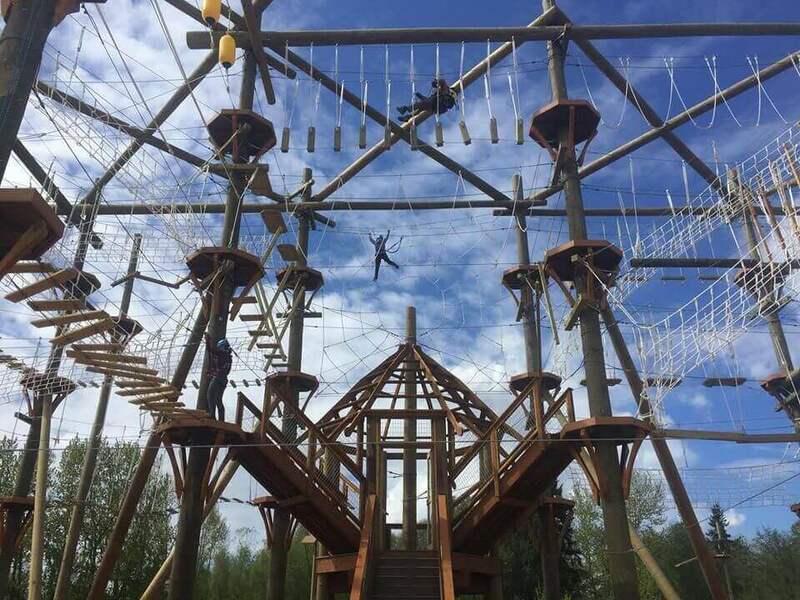 Save up to 29% when you purchase a prepaid vouchers for our popular 90 minute climb and zip experience. These vouchers are unrestricted and are good thru the 2019 calendar year. These are single use so packs must be used in a single visit. The # of exilerating ziplines totallying 560 Feet of Ziplining!!! The # of feet you will be in the air when you experience the rush for reaching our 3rd level of platforms. The # of challenges you can enjoy while trekking 1800 feet of obstacles to explore and conquer. 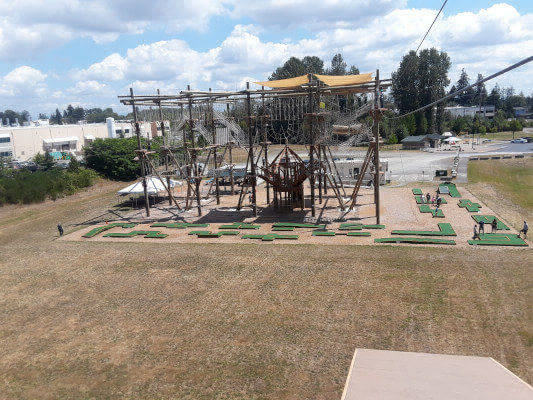 Our adventure park, ziplines and mini golf are open on weekends and various Seattle good weather days but we encourage you to make a reservation online rather than just walking in. We are open rain or shine according to the schedule as long as we book enough reservations. View our latest operating hours for details. In the Seattle area and planning a birthday, bachelor/bachelorette, or anniversary party? 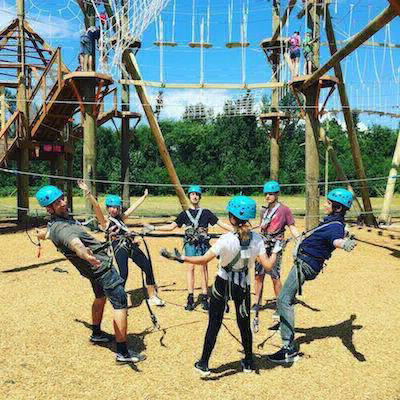 Celebrate your special occasion with a party at High Trek and get all-inclusive access to the ropes course and zipline tour at our adventure park. Whether you are a part of a small Seattle area organization, a large department, corporate management team, or sports team, there is always an opportunity to improve trust & communication skills. Why not have fun doing just that by scheduling a convenient outing to High Trek Adventures? We can even incorporate Mini Golf or Tactical Team Laser Tag!! 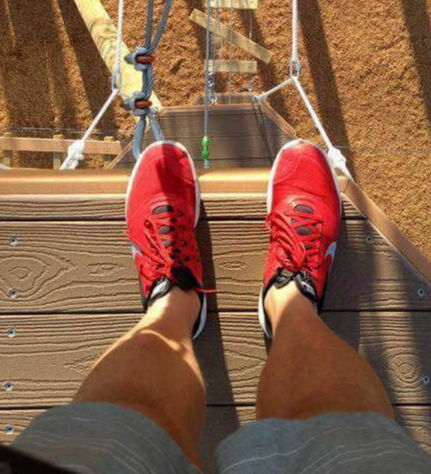 Then, we'll get you up in the air for a zipline and ropes course experience at our adventure park. 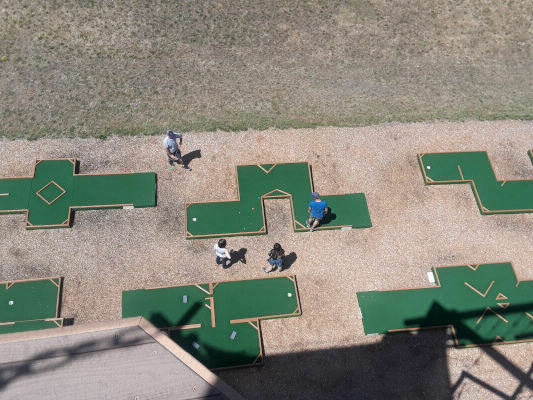 Enjoy a round of miniature golf on our new 18-hole putt putt course. Watch out, the 9th and 17th holes are a real challenge! 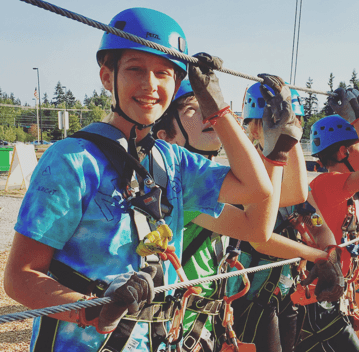 Hello Seattle area Scouts and Scout Leaders! 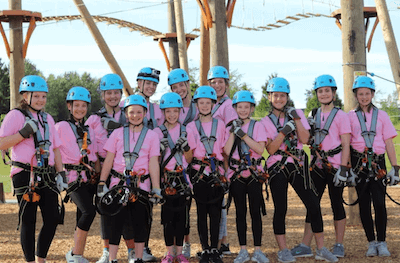 Sign your troop up for a High Trek outing and get the best available pricing as long as it is on a weekday during the school year. 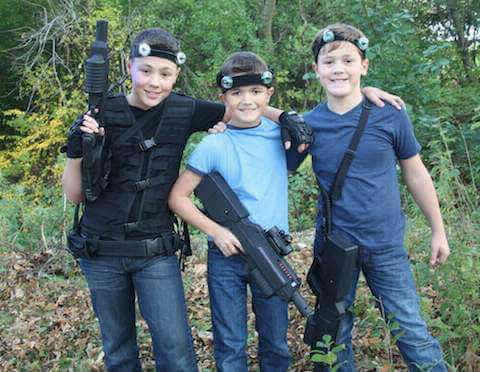 This is not your baby brother's laser tag, we have the most sophisticated high tech taggers the industry has to offer so get off your game chair and create a real life avatar at High Trek. For more details, follow us on Facebook @hightreklasertag and visit our Laser Tag website. Own a Seattle area business? Host your company picnic, family reunion or other large event at High Trek! Check out our simple picnic packages and choose one our flexible event solutions which includes ropes course and zipline access. 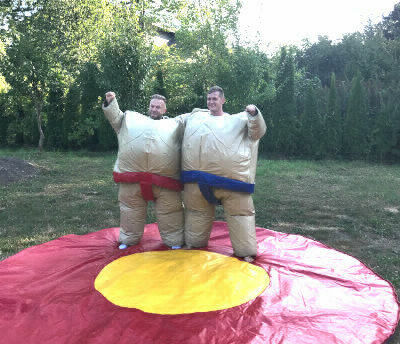 To add the final touch to your company picnic, special occasion, or birthday party - add on a bouncy house or inflatable game. See specific group type page for rental details let us make your event even more exciting!! 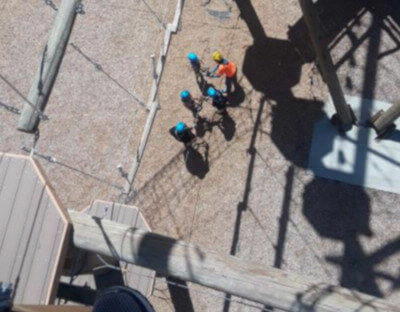 Have a fear of heights? Join our Be Bold, Be Brave class to Conquer, Quell, and Quash your fears ...and have fun doing it. Join our quarterly class that will train you to be bold and brave by learning the facts and skills you need to know. View details below about the class and how to sign-up. Located just a half hour North of Seattle, off I-5 and the Mukilteo Speedway at Paine Field Community Park. Walkins are always Welcome, space permitting.